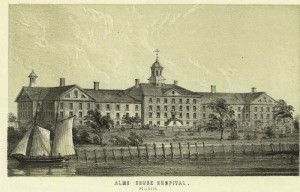 PODCAST Bellevue Hospital, you might have heard, once had a very notorious psychiatric ward. 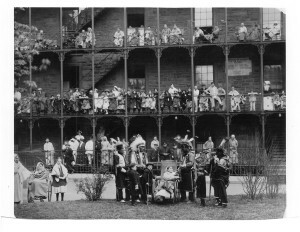 But those horror stories have only distracted from the rather breathtaking — and heart-breaking — history of this historic institution, a lifeline not only for the sick, but for the poor, the incarcerated, the abandoned — even the dead! 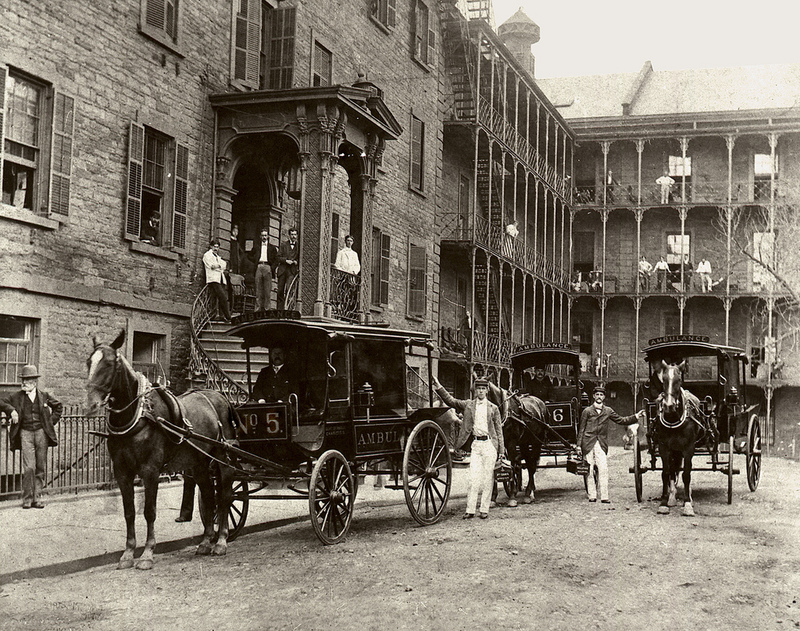 The hospital traces its origins to a six-bed almshouse that once sat near the location of New York City Hall today. 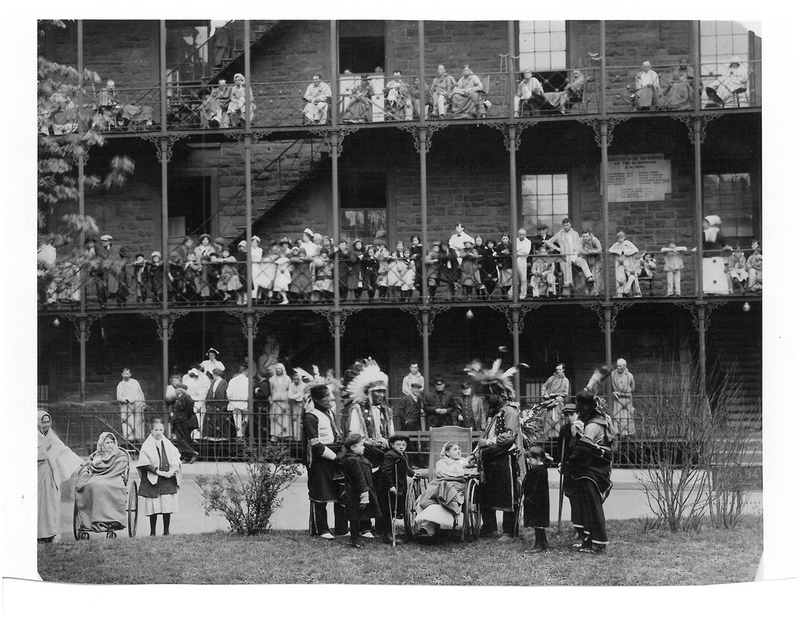 Despite its humble and (to the modern eye) confusing original purposes, the almshouse was miles better than the barbaric medical procedures of early New York, courtesy the ominous sounding ‘barber-surgeons‘. 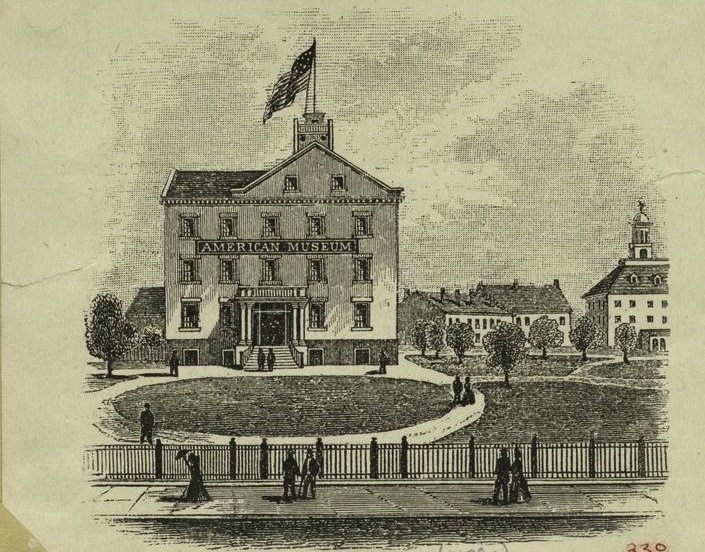 A series of yellow fever epidemics moved care for the sick to a former mansion called Belle Vue near Murray Hill — and, in fact, with a strong connection to the Murray of said Hill. 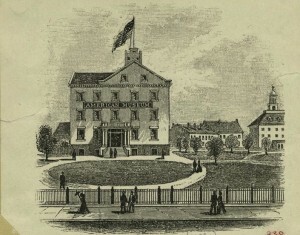 Soon the institution fulfilled a variety of roles and in rather ghastly conditions, from ‘pest house’ to execution ground, from a Pathological Museum to New York’s first city morgue. 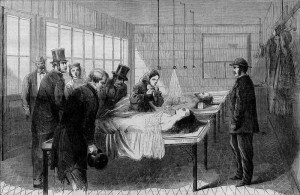 A great many medical advances came from Bellevue, not least of which the origins of the modern ambulance. But some of that progress has been obscured by the reputation of the Bellevue Psychiatric Hospital which opened in 1931 and ‘hosted’ a variety of famous people with disturbing issues. And in the 1980s, Bellevue would take on another grim role — during the most distressing years of the AIDS crisis. The hospital always had a morgue — its mortality rate, after all, was quite high in the 1830s-40s — but in 1866, it expanded to become New York City’s first city morgue. Bodies had to be buried after a few days, but for identification and forensic purposes, clothing and other personal articles were kept on display for a month then put into storage. 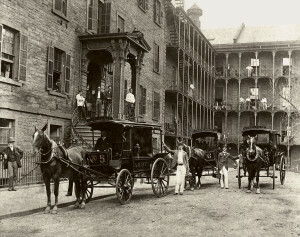 The first ambulance service ever started at Bellevue in 1869, thanks to the hospital’s connections to the Civil War. The fleet of horse-drawn ambulances features a gong to get through busy streets and a container of brandy as an early reliever of pain. 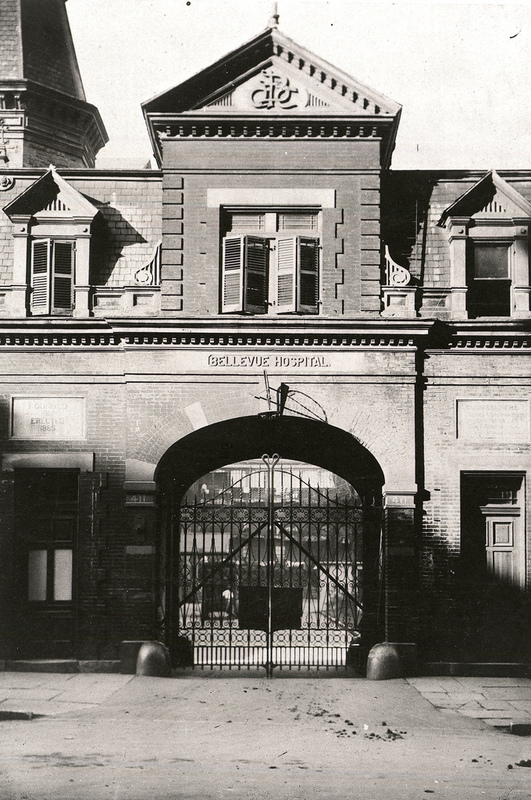 The hospital’s enduring reputation for treating alcoholics — and the less-than-glowing reputation of its psychiatric ward — were featured in the Billy Wilder film ‘The Lost Weekend‘, which won the Oscar for Best Picture. Patients had to be evacuated in October 2012 during Hurricane Sandy and was only restored to full service in February of this year. 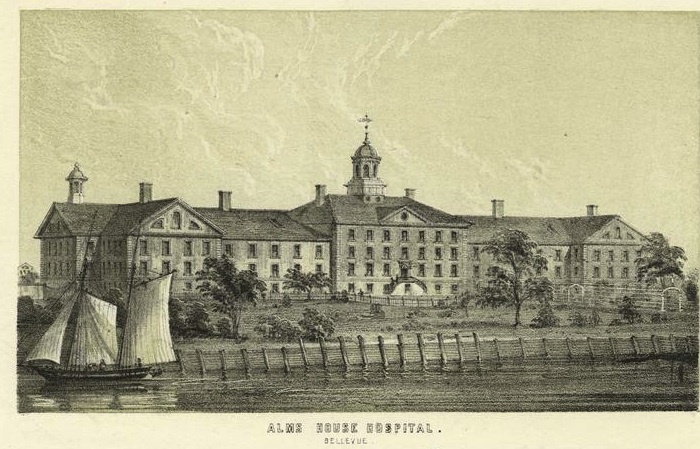 CORRECTION: In discussing early hospitals that moved into old mansions, I mention Long Island City Hospital, but meant Long Island College Hospital. 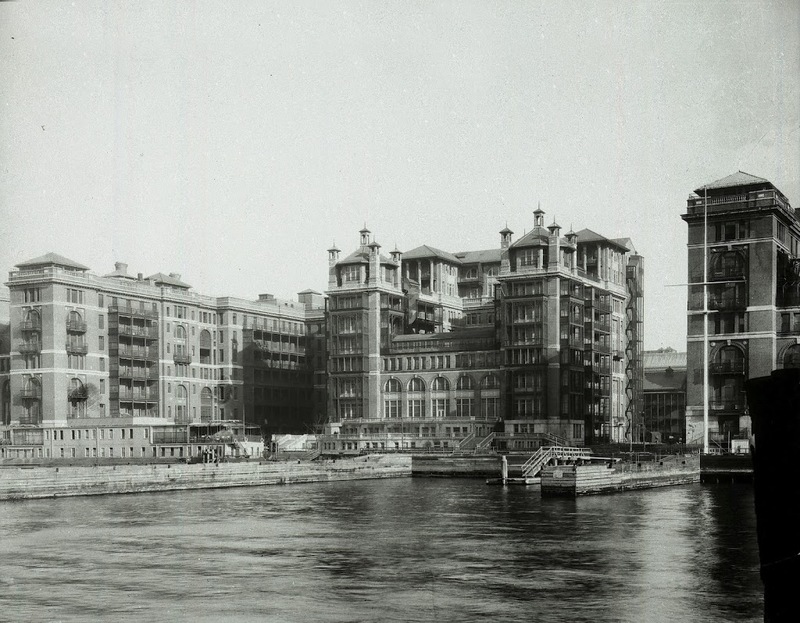 ← Roosevelt Island – from the New York Times to tomorrow’s podcast!